Signed and numbered limited edition “Pepper Time” watch produced by Vannen Watches. Ragnar flasks and cigarette cases from Retro A Go Go. Other items in the line include pill boxes, parasols and business card holders. 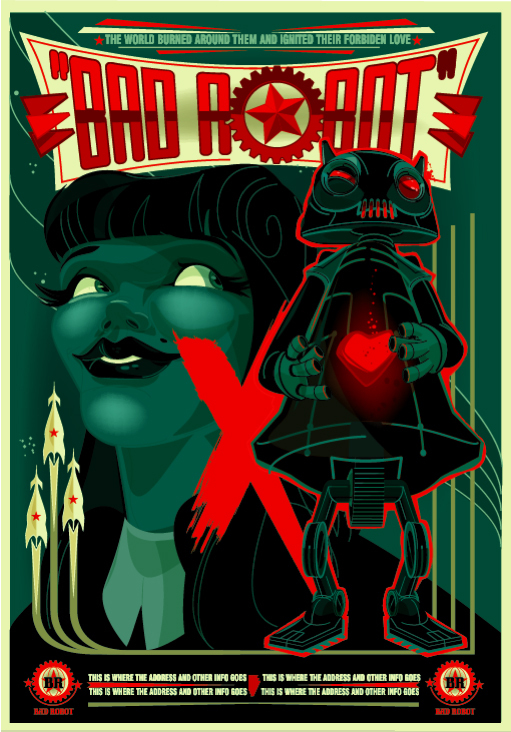 Limited edition vinyl toy produced by 3D Retro. One of six different colors and designs. 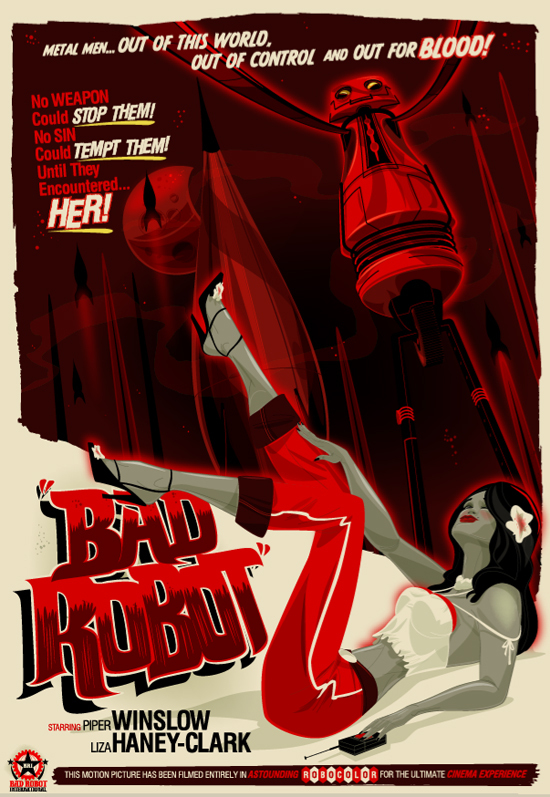 One in a series of movie posters commissioned by JJ Abrams for the Bad Robot studio office. Variations on the logo/icon I made for the film Pacific Rim. Guilermo had a really solid idea of what he wanted so the project moved pretty quickly from start to finish.